Vic’s eyes opened at June’s alarm. Through the wall he saw the black drone heading toward the ship on an intercept course. It would never come in contact with them, but it would give their position to whoever left it here. Had to be that Sheriff. Vic rolled over and struggled to get out of bed. “No rest for the wicked, eh?” He smiled at June. Where had he gone wrong with her? At one time they were so close. They would just sit for hours and talk and talk. Business had to be done and slowly she just kept more and more to herself. She spent a lot of time talking to Dexter, but that couldn’t be it. That was an effect, not a cause. He had to put her out of his mind for the time being. She’d made it pretty obvious that she fancied Joey anyway. What could he do? Fight Joey for June? Vic stood up and shuffled over to June. She took his arm and put it around her shoulders and helped him to the cockpit. They hadn’t walked this way in a year or more. Argmon growled and shook his head. They’d have to do this the hard way. The lights went out and the view screen darkened. They’d dropped out of hyperspace. Vic knew it was going to be a long three minutes. The only light in the entire ship emanated from softly lit console. Argmon sat upright with all four arms ready to get the ship back on course. Vic faltered, but June held him up. He wanted to hug her. He wanted to apologize again. He couldn’t be angry at Joey, it wasn’t the kid’s fault he was here. It wasn’t his fault that June liked him. “No you’re not,” June reprimanded and unceremoniously dropped Vic into the seat. And she left. Happy for the darkness, Vic took a little comfort that they had left. Perhaps June had even knew he didn’t want to be around them right now. But he didn’t want them to go away. Hell, even he didn’t know what he wanted right now. If he had his way, he’d just sell the ship and call it quits. The only one he was certain of in his loyalty was Argmon. They’d been at this together since the start. He knew he could put his life in Argmon’s hands and never be disappointed. Well, he could do that with any of them, but it wasn’t his life he worried about. His heart, now that was another matter. “I need to stop brooding.” He told himself. Vic could just make out the hint of a smile on Argmon’s snout. Argmon’s gaze never shifted, but he didn’t answer. That spoke volumes to Vic. Argmon had enough confidence, or bravery. Either way, they were going to go fast around two black holes. No one had ever tried anything like this and very likely no one ever would again. Tootsie’s lights came back up. Argmon hit the controls and the ship took off. 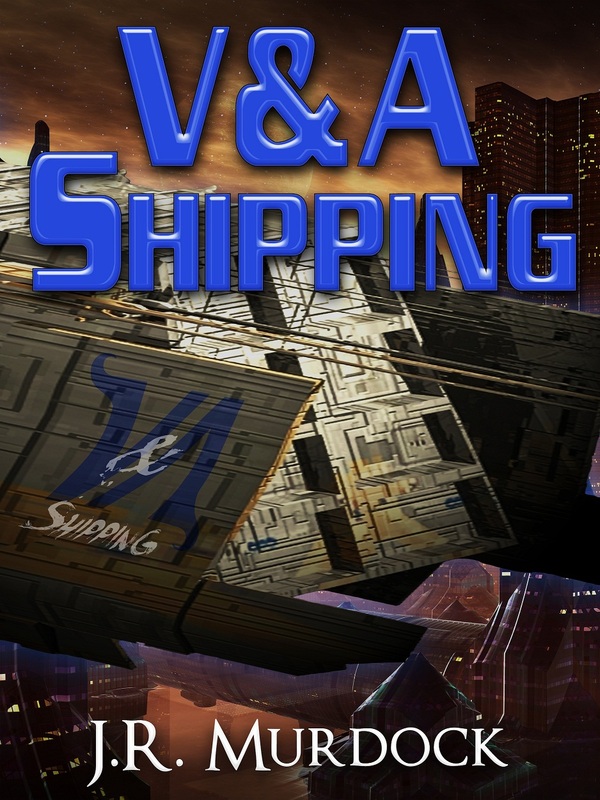 Posted on March 8, 2013, in V&A Shipping and tagged chapter, read along, v&A shipping. Bookmark the permalink. Leave a comment.